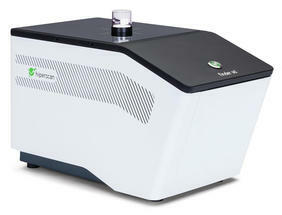 The traditional high cost of instrumentation has prevented the wider use and growth of NIR spectroscopy. The Finder SD system makes NIRS affordable and therefore accessible to everyone. Finder SD is compatible with the SensoLogic Suite which may be used for creating secure chemometric models and for validation purposes. Additionally, HiperScan provides service in chemometrics. As a result of reproducible data collection, drift free operation and optimised chemometrics, Finder SD provides accurate quantitative as well as qualitative measurements. Patented Scanning-Grating-Technology: Conventional NIR spectrometers use diode array detectors which are quite expensive and non-uniform. The innovative micro-opto-mechanical microchip (MEMS) in the Finder SD uses a single detector which results in uniform characteristics over the entire spectral range. 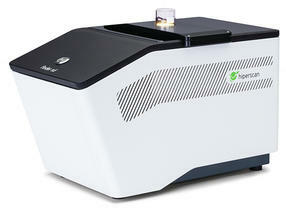 This in turn facilitates transferable chemometric models that provide the same results on all systems. Use of an integrated stabilised light source: After switch-on, the tungsten halogen light sources are stabilized, therefore the emitted spectrum of the light sources and their intensity distribution are then sufficiently constant. Thanks to complete thermal stabilisation temperature variations do not affect the accurateness of repeated measurements negatively. This way, the typical accuracy of the measurement results is increased by a factor of 3. Internal calibration using NIST wavelength standards adjust the wavelength axis exactly between each measurement. As an internal white standard high-purity PTFE is used. Built-in filters in the light path keep the sample of too much light and thermal emission. Measuring principle: Measurements of solids are performed in diffuse reflection, liquids are measured in transflection using a transflectance inset.